Sunday is a special day, thats why we always put the finest ingredients in. Proper Sunday lunch, made the right way. 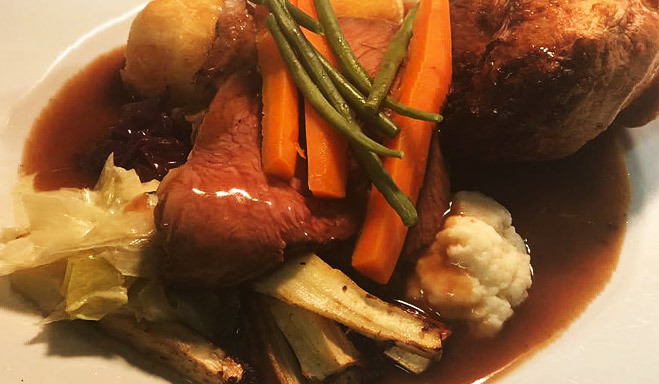 All of our beautiful Sunday lunches are served with crispy garlic and rosemary potatoes, home-made Yorkshire Puddings and our rich homemade gravy alongside seasonable vegetables. All our roasts can be done gluten free and in children's portions.